On our way back to the hotel after dinner last night, we saw the moon hovering above the Sé Cathedral of Angra do Heroísmo, a Portuguese 16th-century cathedral located in the civil parish of Sé, in the municipality of Angra do Heroísmo, on the island of Terceira in the archipelago of the Azores. I was reminded that some believe that the Moon Goddess is more powerful than the Sun God and isn’t afraid to come out at night. 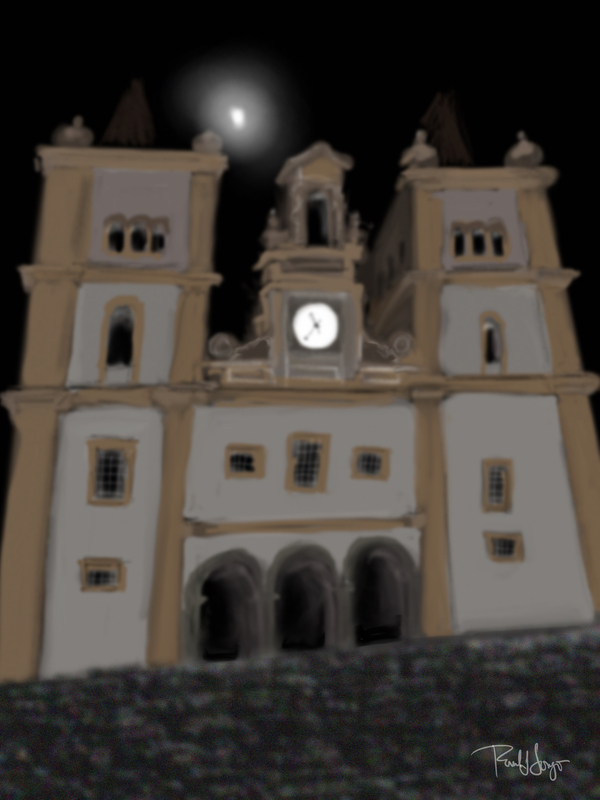 This entry was posted in Digital Artwork, iPad Art, Sketches and tagged Açores, Angra do Heroísmo, Apple Pencil, Azores, iColorama, iPad Pro, moon, moon goddess, moongoddess, Procreate, Sé Cathedral, Terceira by portfoliolongo.com. Bookmark the permalink.